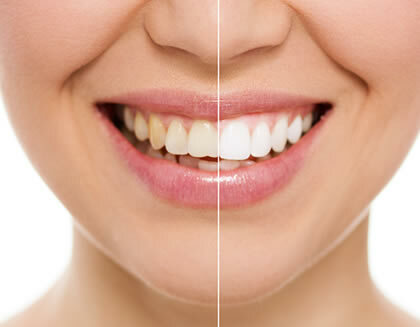 Tooth whitening is a very effective means of improving appearance. It can be done alone, or as part of a treatment plan that may include crowns or white fillings on the visible teeth. Under current EU guidelines, we currently provide custom made whitening trays with kits of 6% hydrogen peroxide. Shade improvements are normally achieved in 2-4 weeks with good technique and consistent use. The effect can last for months, however the exact time will vary according to lifestyle. Tea, coffee, red wine and smoking are the main causes of discolouration. The trays are reusable and the whitening gel can be purchased when required. Porcelain veneers can be used to transform the shape, alignment and colour of your front teeth. Following a smile design consultation with your dentist, a mock up of the final size and shape of the veneers can be used to finalise the treatment plan. 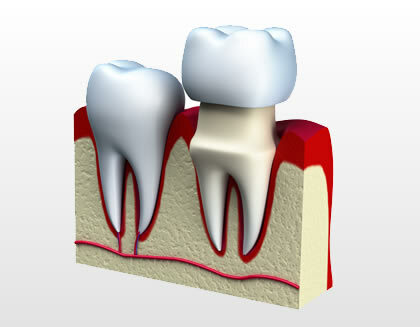 The teeth involved are then usually minimally prepared prior to veneer manufacture. The teeth are temporised prior to the veneers being fitted. The process normally takes 2 weeks. There are several veneer systems available and your dentist can guide you to a most suitable option. All ceramic restorations provide the most natural appearance in visible parts of the mouth. They do not result in ‘black lines’ around the edges when gum positions move over time – hence less need for replacement. These restorations are the most commonly used in smile design/makeover cases. Bonding is an adhesive process used to restore worn teeth. The technique can be applied to both front and back teeth. Tooth coloured materials are used to “build up” worn edges/surfaces to restore aesthetics and function. Bonding is particularly suitable for patients who have worn their teeth through grinding or dietary erosion. It is also commonly used to correct uneven front edges. When appropriate, bonding can be used as an alternative to porcelain veneers and crowns. Bonding requires minimal preparation of healthy tooth tissue and can be repaired if damaged. Air polishing is a treatment that quickly and effectively removes unwanted stains on the front and back of teeth. The procedure uses air and water pressure to deliver a controlled stream of sodium bicarbonate or glycine particles onto tooth surfaces via a fine nozzle. 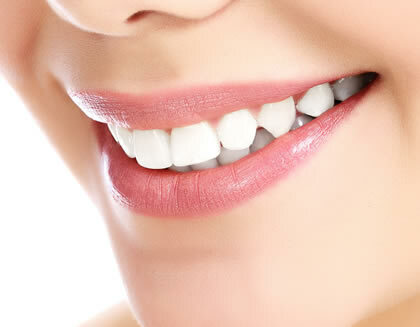 As well as removing obvious staining, the technique is most effective between crowded teeth and will often leave surfaces looking brighter/whiter.